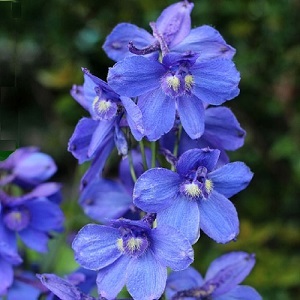 A free flowering Delphinium with lots of dark blue flower spikes all the way through summer, from June to September. The Belladonna Delphiniums are cultivated hybrids that are great border plants and informal cut flowers. Plants grow to a height of 90-120cm and do not generally need staking except for more exposed sites.